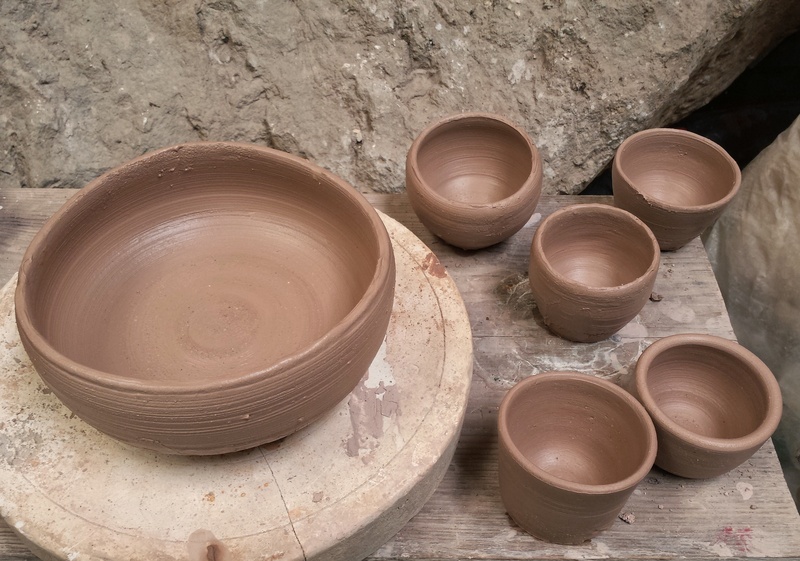 Clay bowls thrown in Magda’s first day on a potter’s wheel. Last week we started private classes in the ceramics studio of a local artist called Alejandro Sanchez. 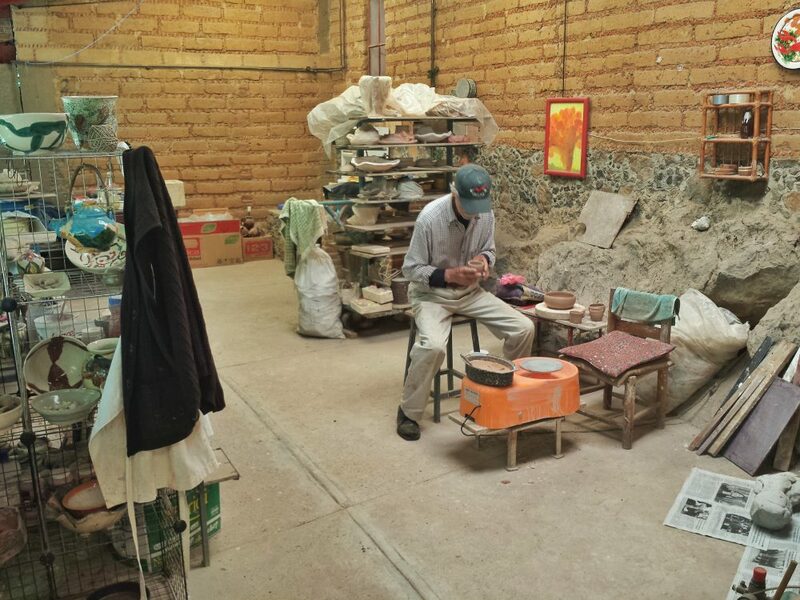 Alejandro’s family is from nearby Cuernavaca and has for generations produced ceramics, focusing primarily on the casting method. Alejandro himself expanded his craft over decades into every different type of ceramic, including with workshops in Japan and the USA and primarily with experimenting. His vast knowledge and gentle demeanor are a delight in the studio. Alejandro’s studio is lit primarily with skylights that have cream colored panels that diffuse the light perfectly and tint it a lovely warm hue. Alejandro in the main part of his studio. Note the hunk of rock that forms the bottom part of the wall on the right – the studio is built right into the slope of the mountain. On our first day we focused on getting a feel for the clay: we learned the basics of both Mexican and Japanese clay kneeding (essential to getting the air bubbles out so that work doesn’t explode in the kiln) and then Marc focused on making a small sculpture of his Gumb Diva and I, Magda, had a blissed out solid 4 hours on the potter’s wheel. This small cup, still wet and wobbly, represents to me the achievement of a decades long dream to explore ceramics in-dept. I am most proud of the fine lip. 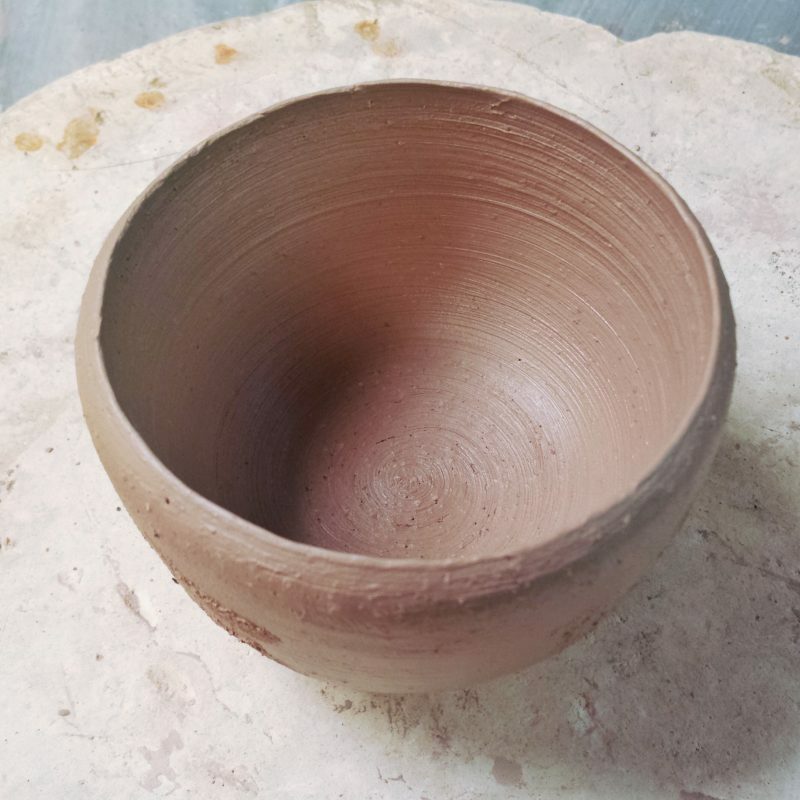 Not bad for the first day on the wheel! 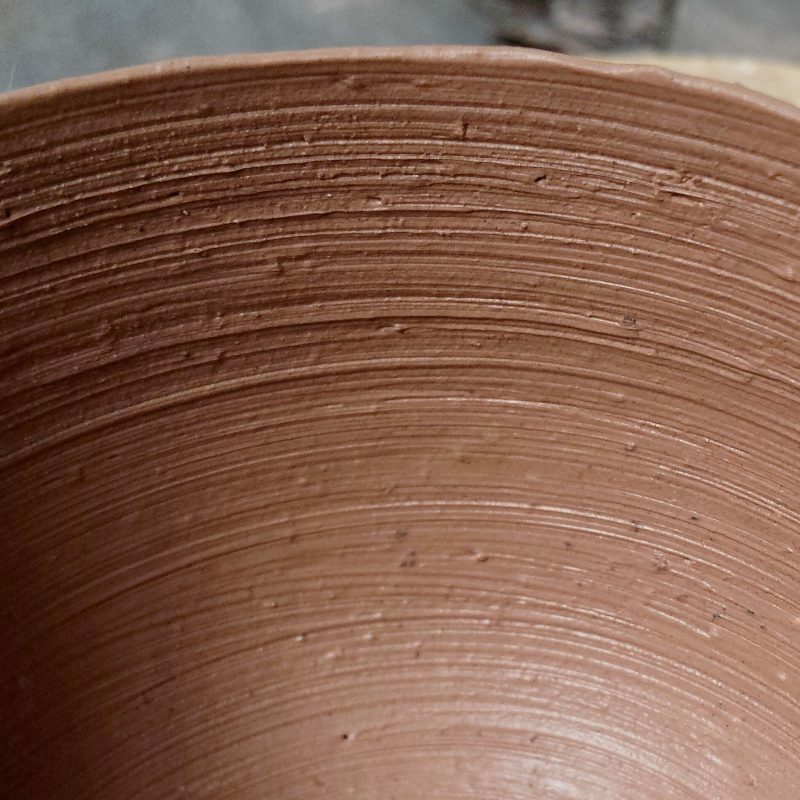 Closeup of one of the little thrown bowls – the clay we were using was a grainy, low shrink type that had a pink mocca color that, especially with the grain, looked exactly like uncooked chocolate cake batter. 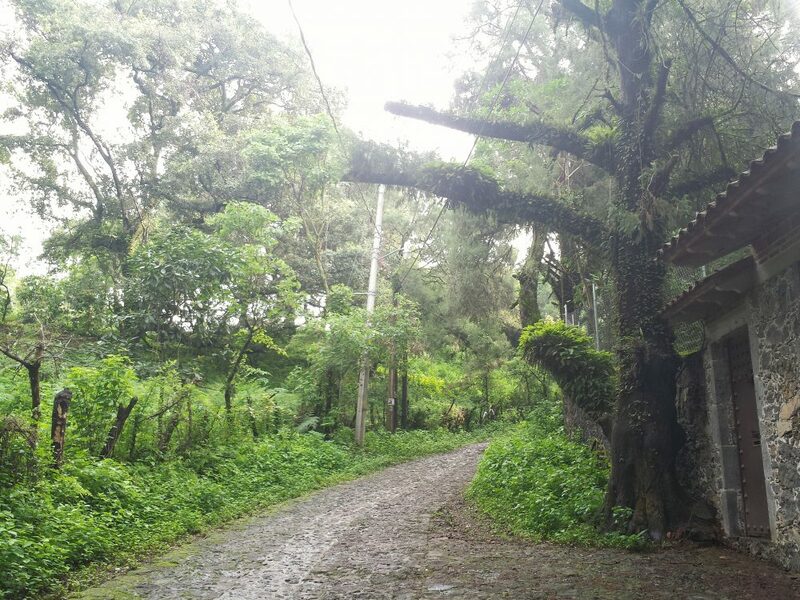 The studio is in a large garden, and the walk to his studio from our house is an easy 20 minutes stroll on a winding mountain road through a verdant landscape. We are currently in the wet season, so everything is misty and mossy and full of life juice. Misty, mossy, verdant landscape on the morning walk to the ceramic studio, just up the mountain from our casita in Tepoztlan, Mexico.